WE can’t pass up Memorial Day here without a tribute to our fallen men and women who served our country in time of war. One of the great things we liked about Hilltop House when we bought it five-ish years ago is our flagpole. We fly our flag not just on holidays, but to show we care about our country and its values. Please, when you start this summer season off—as long in coming as it was this year—remember when we celebrate Memorial Day. It’s why we experience freedom in this country. It’s why we are open to new thoughts and ideas. It’s why we have things called Amendments although we don’t always know which one is which. Freedom is worth fighting for but only when we remember what it costs to keep it going. When we all pay our share for that freedom, we should pause and remember those who paid the ultimate price. God bless our fallen brothers and sisters who died in the name of the United States of America. Sorry to have been delayed on my garden journey report. If anyone had started at my first posting, they would have been long trapped on the road between Amenia and Millbrook. 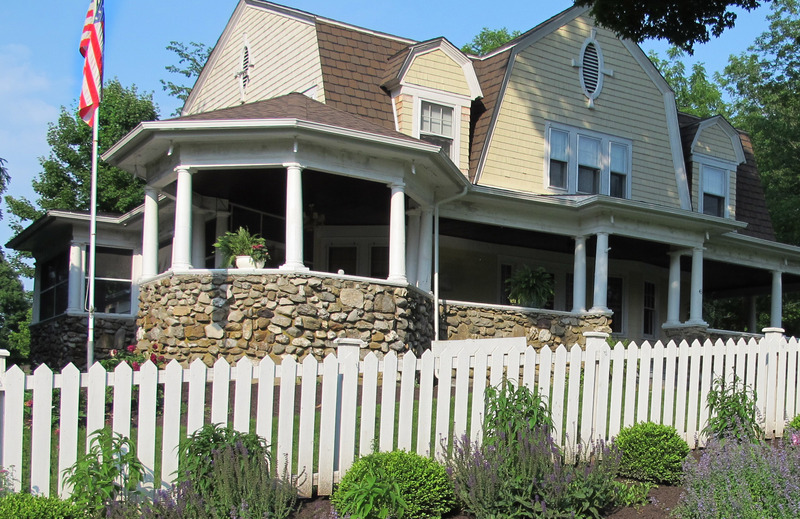 Or maybe you just would have holed up here with us at Hilltop House for the duration. But off to Millbrook, west of us on Route 44 to visit two very different gardens. Gardens, you see, are as different as the gardeners who create them. I use the word create, because there is nothing more creative than gardening. 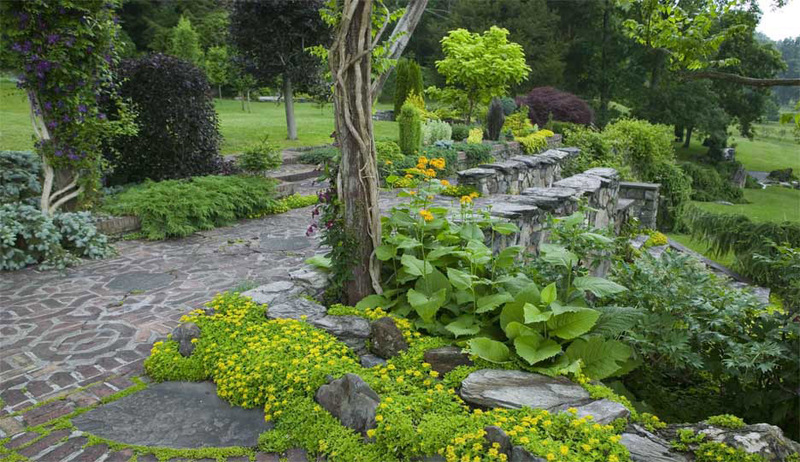 It is a wonderful way to see beauty evolve, to eat healthier, to involve children, to stay active, probably introduce us to all sorts of microorganisms that have been absent from most of our diets for all the anti-bacterial era closing behind us, and well, these gardens will inspire all sorts of souls. Warning: You may not want to visit both on one day. They are both vast landholds covering many acres. 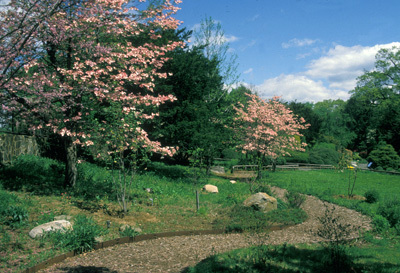 The Mary Flagler Cary Arboretum is a private enclave open to the public from dawn to dusk on most days. Founded in 1971, it is nearly 2,000 acres wide, and is home to / operated by the Cary Institute of Ecosystem Studies. Originally the homestead of Mary Flagler Cary—an heir to the Standard Oil fortunes, Cary passed in 1967 and left her property to a trust. The trust asked the New York Botanical Society to take over oversight in 1971, and since then has the added surname “Arboretum.” In the 1980s the Institute for Ecosystem Studies was founded, which has since become an independent, nonprofit corporation. In 2008, they adopted a new name, the Cary Institute of Ecosystem Studies. There is no charge to tour the grounds, and Cary Institute holds regular talks and demonstrations. If one is interested in vegetable gardening, for example, this is the place to go to learn the rudiments of composting, and combination planting and what organic really means. But the grounds are vast with maples, a meadow, a swamp, trout stream and hiking paths. Not two miles away is Innisfree! Named one of the “world’s ten best gardens,”* Innisfree will overwhelm your garden senses and make you rethink landscape design. Largely the creation of landscape architect Lester Collins, (1914–1993), with collaboration from his client, the artist and teacher Walter Beck. I urge you to wear good shoes, sunblock, a good hat, and give Innisfree the attention it deserves. Take two or more days if you’re like me and can’t take too much in on one visit. • Explore Innisfree’s wild spring beauties with George Petty, a life-long naturalist who has led many wildflower and bird walks for the New Jersey Audubon Society. He is a Life Member of the New York-New Jersey Trail Conference. Author of Hiking the Jersey Highlands: Wilderness in Your Backyard, George is also a published poet and a retired professor of college English. • 11.00am, $10 for Innisfree members; $15 for the general public.